Marvel has had no shortage of games based on its superhero universe, but Marvel’s Spider-Man is reportedly the first game to gain Marvel’s seal of approval with the instantly recognizable flipbook opening featured in the game. The Marvel Flipbook opening is one that anyone who’s seen a Marvel movie or similar products will recognize, though it’s easy to see it so many times that it starts to get overlooked. One place that you won’t have seen it in the past though is in the games based on Marvel’s characters, but you will see it in Marvel’s Spider-Man on the PlayStation 4. 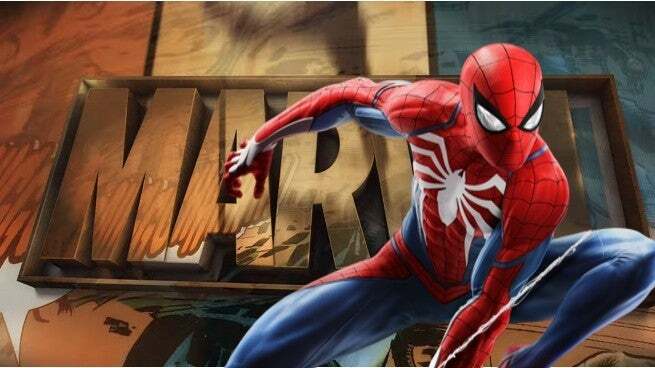 FANDOM reported that Insomniac Games’ James Stevenson said that this is the first game to be allowed to use that logo, thus giving it Marvel’s seal of approval. Stevenson went on to say that even the people working for Marvel realized that the game was something special, something more than past games based on the Marvel universe. He said that the “main person” in charge of Marvel’s video content in New York said that they weren’t even fond of video games, but after seeing the Spider-Man presentation during E3, they said they’d have to buy a PlayStation 4 just so they can play the new game. The Marvel Flipbook opening is one that you’ll see at the beginning of trailer such as the teaser for the game’s first DLC as well as when you start up Marvel’s Spider-Man after to releases on September 7.